With so many razor blades available, how do you know which one to choose? We’ve put together a guide on the different types of razor blades for women, so you can determine the right one for your shaving needs. 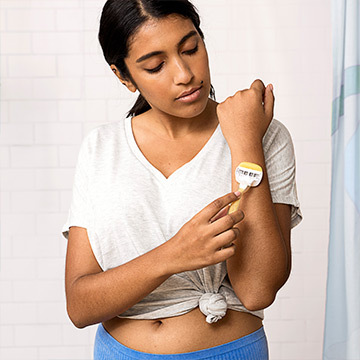 If you have sensitive skin, your risk of developing razor burn, rashes and irritation is higher, so how you shave and the tools you use matter. Using the right blade will safeguard your skin and optimize your shaving results. You can find a razor blade that’s dermatologist-tested for sensitive skin; and consider using a razor with five blades for a closer shave with less irritation*. Five blades on a razor are spaced closer together, which prevents the skin bulging up in between the blades for a more comfortable shave on sensitive skin. 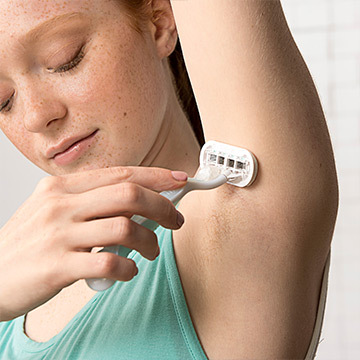 More razor blades also typically cut the hairs at the surface in a single pass which can result in fewer strokes, limiting chances of skin irritation. Shaving hard-to-reach and curvier areas of your body, such as your arms or behind your knees, can be tricky. However, for more control and precision when shaving, try a razor with an easy-to-grip handle that’s specially designed to contour over the angles of your body. 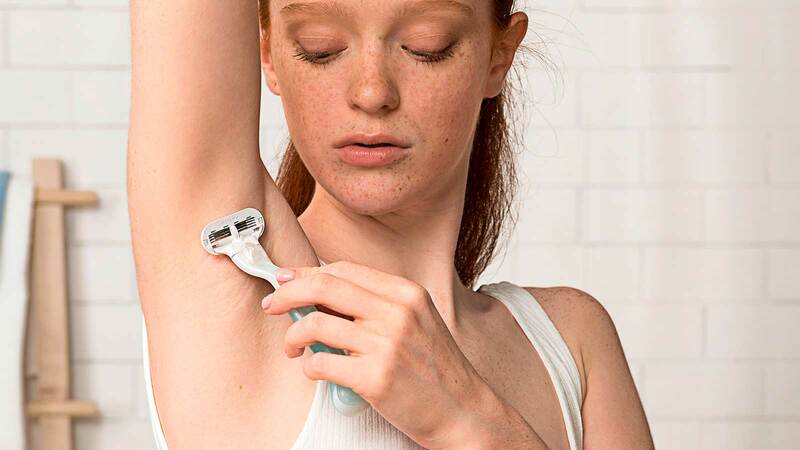 The handle should be flexible, so it can adjust to the different curves of the body, as well as ergonomic, so you can hold the razor comfortably in multiple positions when shaving. 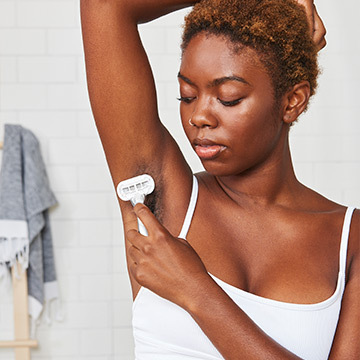 Since the skin around your bikini area is sensitive, using a shaving tool specifically crafted for pubic hair removal can help provide an extra boost of protection against razor burn, bumps and skin irritation. You can even find bikini trimmers that offer a detachable trimming feature if you just want to style or trim up pubic hair, and precision blades for those who prefer a clean shave. If you want to use a manual razor to shave your pubic area, try one with extra lubrication around the blades. For the women who want to skip the shave gel or don’t have time for a full shave prep, go for a razor blade with built-in moisture bars. These razors help to preserve moisture and prevent razor bumps, rashes and irritation by releasing light body butter as you shave with water, without needing shaving cream. 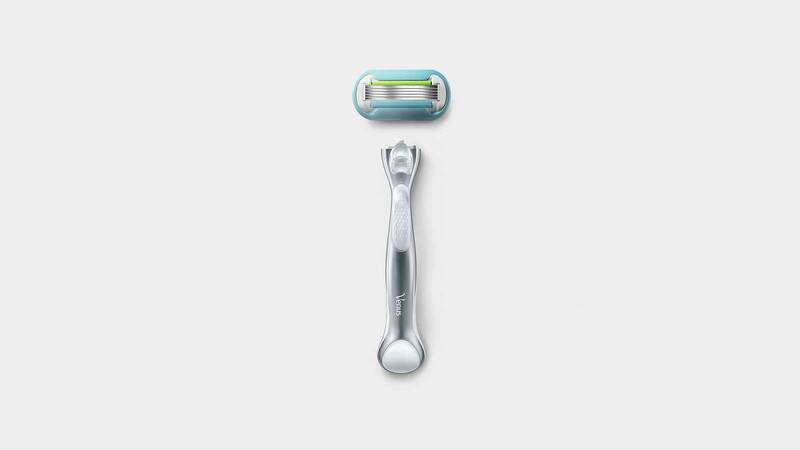 If you’re tight on space while on the go, consider a mini razor. Mini razors come with a short, compact handle and a detachable blade cartridge so you can keep the razor in your travel bag and replace your blades as needed. Disposable razors are great for one-time or limited use. They can come with one to five blades and last up to 10 shaves. Once the blade goes dull, you toss the entire razor away and grab a new one. They also are great for traveling and to have a few extras on hand for any house guests who might have forgot their razors at home. Discover what makes reusable and disposable razors different, and learn more about each type. If you want to test a few different razor blades to find what works for you, try a reusable razor. 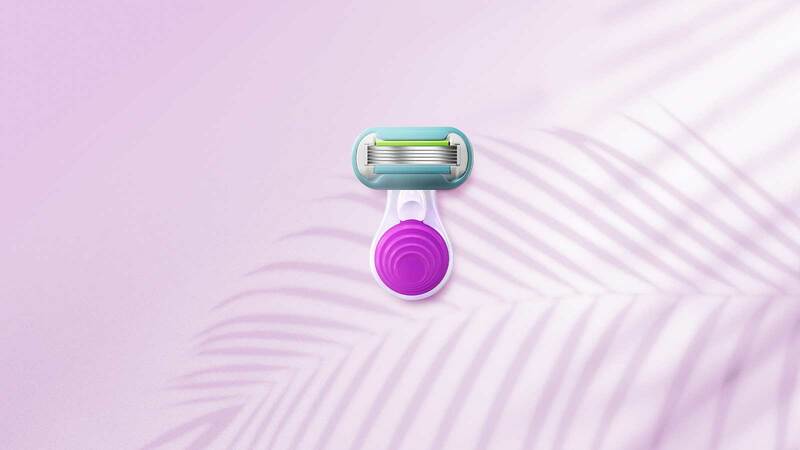 Reusable razors come with detachable blade cartridges, so you keep the handle but replace the blades when they become dull. 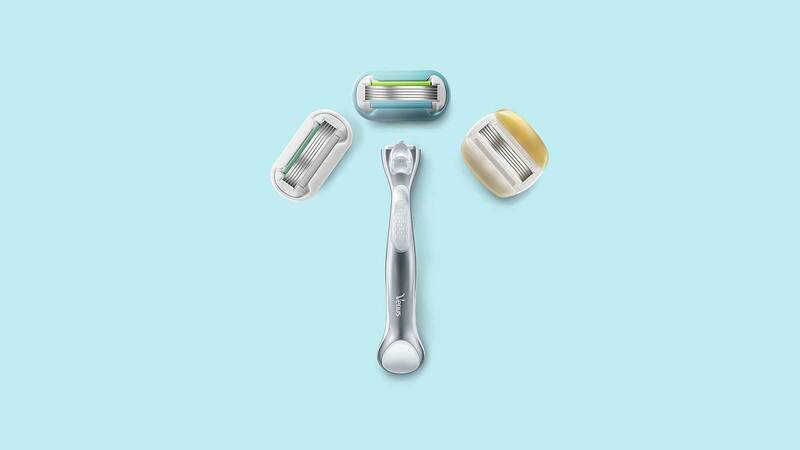 What’s more, refillable razors let you mix things up, so you can try blade cartridges for sensitive skin, test to see if you prefer three blades or five, or try a blade cartridge with built-in moisture bars. Regardless of what type of razor you choose, what’s important is to find one that works best for your specific shaving needs. Learn how you can build your own razor, and take time to explore different shaving products, from shaving prep to electric razors, to get exactly what you’re looking for. 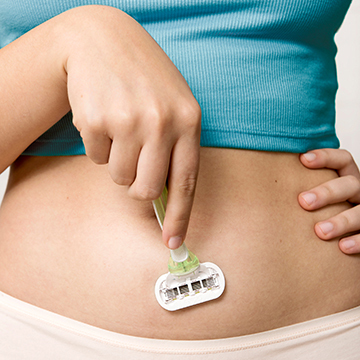 The Difference Between Disposable and Reusable Razors for Women?